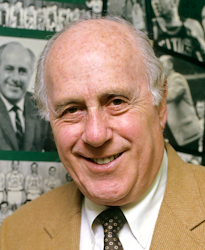 Arnold "Red" Auerbach (September 20, 1917 – October 28, 2006) was a head basketball coach and a front office executive for the Boston Celtics of the National Basketball Association (NBA). You handle animals. You deal with people. This page was last edited on 22 August 2018, at 20:15.